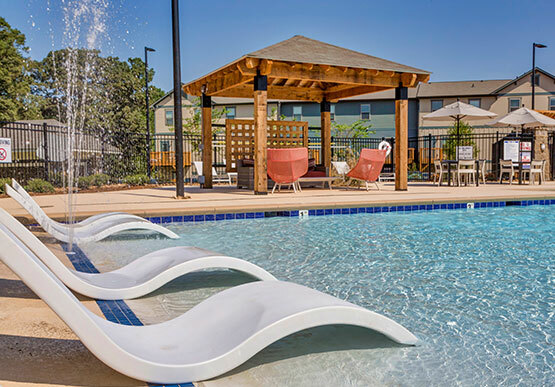 The Station at Raleigh is the essence of modern student living near North Carolina State University. 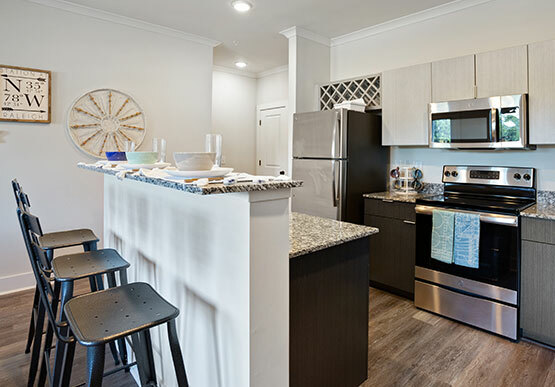 Offering furnished, cottage-style townhomes, world-class amenities, and a student-centered culture, our off campus housing near NC State and neighboring universities provides the ideal environment for residents to be successful both inside and outside of the classroom. Join The Station at Raleigh today to enjoy the luxurious lifestyle that you've been waiting to discover! 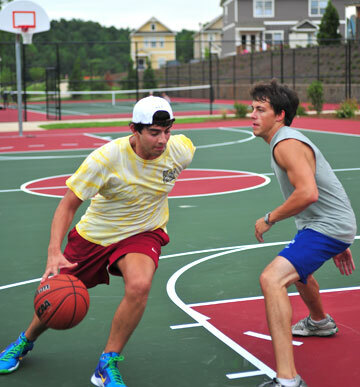 Shoot hoops any time you wish on our regulation-size basketball court, perfect for pick-up games with other residents. 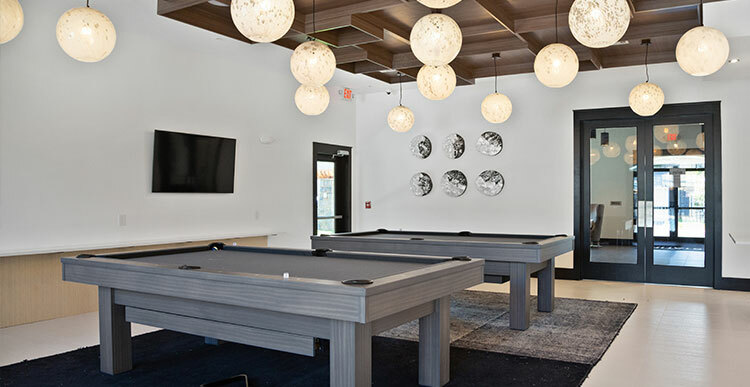 The resident clubhouse at The Station at Raleigh features a variety of student-friendly amenities, including TVs, table games, and a fully stocked coffee bar. 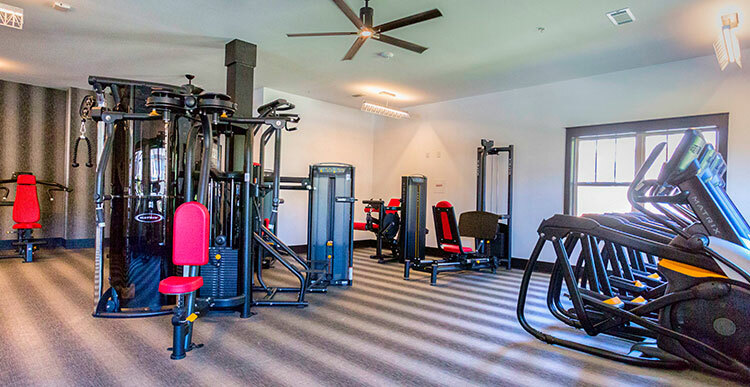 Exercise any way you want in our extensive fitness center, which has state-of-the-art equipment for every type of workout, as well as duplicate machines to reduce wait times. 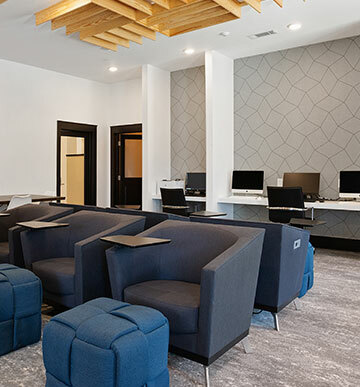 Get a head start on homework in our fully equipped computer lab and academic lounge. The Station at Raleigh offers floor plans for every lifestyle. Our student apartments are available in nine unique layouts that have one, three, or four bedrooms. We rent by-the-room with affordable contracts. Plus, finding roommates is a breeze with our roommate-matching services.